I know I mention the world scrunch map often, but that’s because I love it so much! It’s amazing! 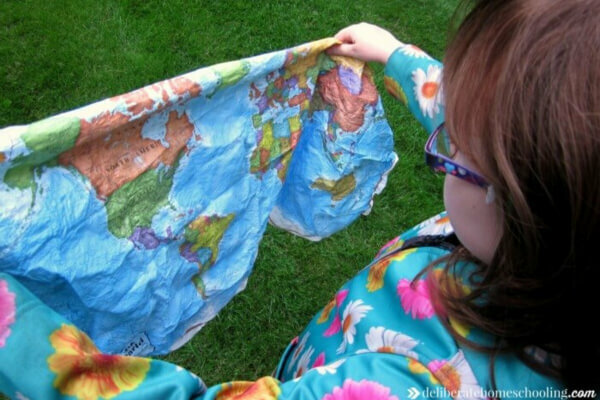 It’s a heavy duty material and the whole map squishes into a tiny little portable pouch! AMAZING! There’s a US SCRUNCH MAP too (I really hope they make a Canadian one)! Every homeschool needs a library of amazing literature. Your book selections should always be thoughtful, beautiful, and inspiring creations. I love Amy Lynn Andrew’s Living Book List. You can search the list by topic or by reader level. I’ve found some remarkable books through her list! You can’t go wrong with a high quality set of wood building blocks. Outside of making structures, these have proven valuable when teaching perimeter, area, and geometry. Play silks are a delightful addition to any homeschool. You can actually purchase these for toddlers or preschoolers and use them for years to come. I use the play silks to set up play spaces and book displays and my girls have used them as dress-up props for dramatic reenactments. I’ve also used play silks for experiments (hold them in front of a fan and let them go… or drop them from a staircase landing)! Sometimes the silks are just nice to drape on the couch to add a pop of colour into a dreary morning. Rocks, sea shells, sticks, bark, leaves, pine cones, and acorns make for awesome and amazing homeschool materials. There have been many instances when my daughter has counted using rocks or discovered a stick shaped like a letter. Include your child in the collection of nature items… it will make their addition to your homeschool extra-special! Our magnetic dry erase board was one of the best homeschool investments we ever made! 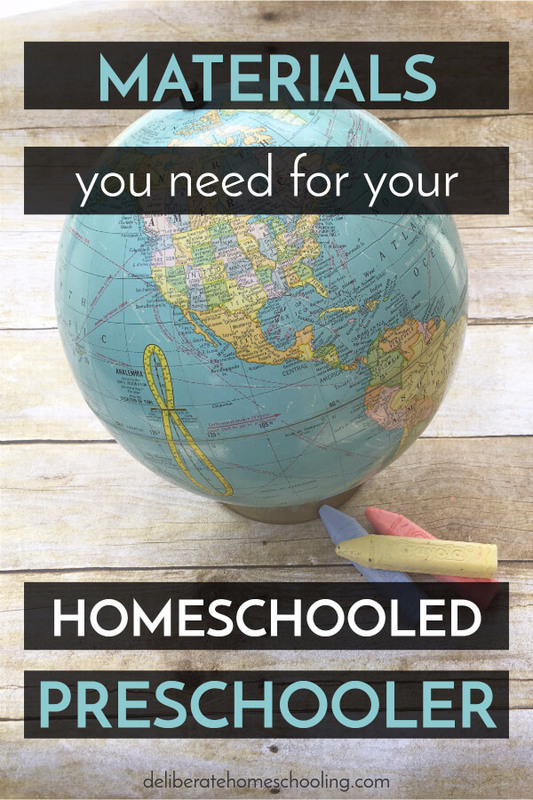 We have been using it throughout our homeschool journey. We use the board for drawing, to practice writing, to teach concepts, and for our All About Spelling program. While we have markers (felt pens) in our homeschool, I haven’t included them on this list. I find that when creating art, markers can be somewhat limiting and distracting to young children. These supplies are a good start to building your reserve of homeschool materials. With careful planning and strategic purchasing, you’ll save money by investing in these high quality items.